This recipe is great because it’s easily adjusted depending on how many you are serving. 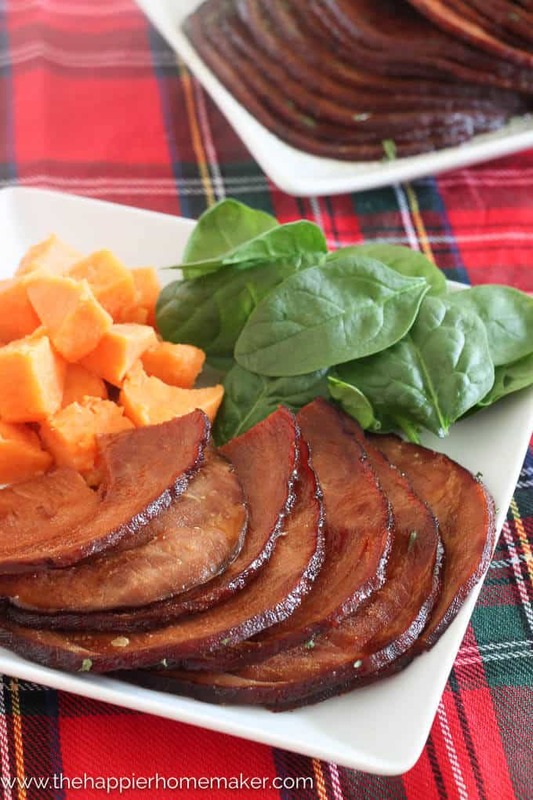 I use about a two-pound ham when feeding just my family but depending on the size of your slow cooker you could greatly increase the amount of ham you cook as long as it fits comfortably in the cooker. (You want to be able to slightly separate the slices to allow the glaze to get inside.) If you buy a very large ham you can double the glaze but otherwise, the cook time in the slow cooker will remain the same since we are using precooked ham. 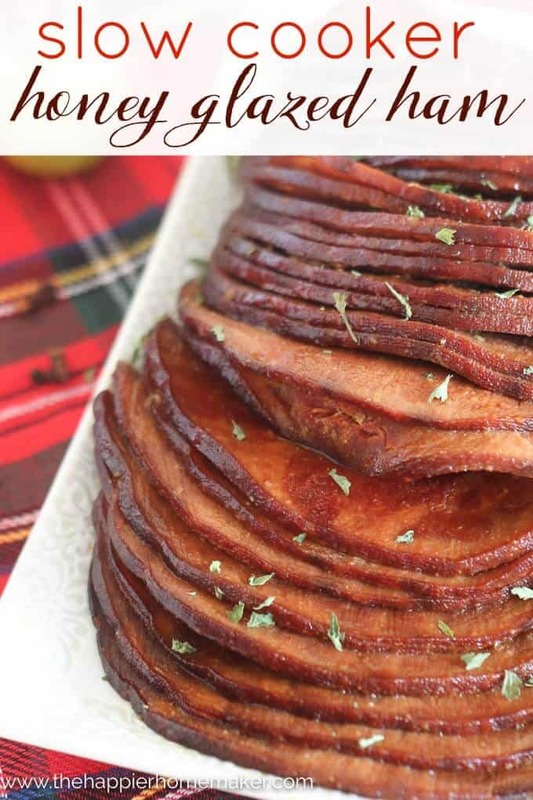 Take the stress out of meal preparation with this Slow Cooker Honey Ham recipe perfect for Christmas, special occasions, or weeknight dinners! In a small saucepan, combine honey, brown sugar, mustard and water. Whisk together and heat over medium heat until frothy. Place ham in a slow cooker and separate sliced slightly so that glaze can reach the interior of the ham. Pour glaze over ham and cook on high for 4 hours, or low for 6. Feel free to increase the ham size as long as it fits easily in your slow cooker, the glaze can easily be doubled for larger hams. Cook time does not change as ham is precooked. This Slow Cooker Honey Glazed Ham is the perfect recipe for holiday gathering because you can fix it ahead of time and don’t have to spend time in the kitchen away from your guests. I like to make it, especially for Christmas and Easter dinners. I’d love if you try it if you could take the time to leave me a comment and give the recipe a star rating down below, it helps me a lot to get your feedback! next post: Educational Toys That Kids Will Actually Like! 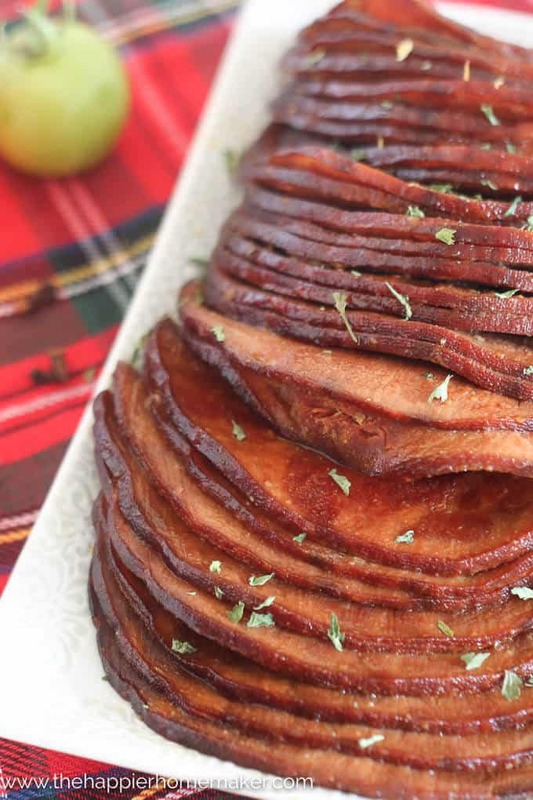 I haven’t ever cooked a ham in a slower cooker, but now I can’t wait to try!